Unexpected lessons in anatomy and history. Nothing on the donkey front, but life goes on. 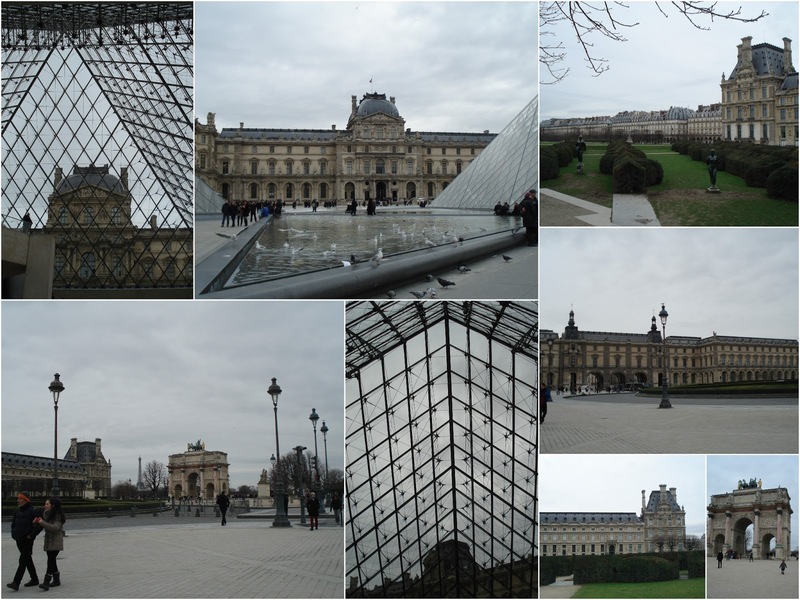 After T's meltdown at the Louvre in January, I knew I had to manage our next visit to the museum more carefully. To avoid a repeat, I implemented a few changes to the plan - starting with a much earlier arrival time. 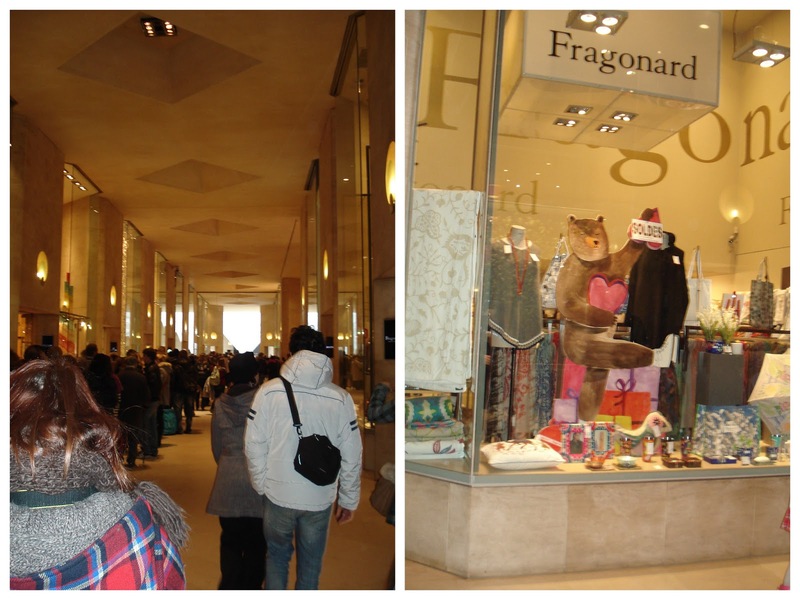 Initially, the visit seemed doomed: the line went all the way to the Carousel du Louvre subterranean Metro entrance. But it moved quickly, and T loved the window display of the "lady bear with skates" at Fragonard. I bribed T with a flute and sweet thing of pastry from Paul, and off we went to the ancient Greeks. I had promised myself to leave soon after T was done (even if it only meant spending 10 minutes in the exhibit), but to my great relief she was genuinely interested in the exhibit this time. Which brings me to the anatomy lesson. T has a budding interest in science - she's interested in why it rains, why it gets dark at night, and how pretty much everything works - and her vocabulary expands as she asks to name the things she sees. So at seeing the male Greek sculptures she asked "Mommy, what's that between their legs?" I told her and she nodded (one of her favorite books is about the human body, though she mostly cares about the pages explaining digestion). In the next room (more sculptures), she tugged my sleeve and whispered loudly "Mommy, look at all these men's peanuts!" She may hate me for this in the future, but it was pretty hilarious. 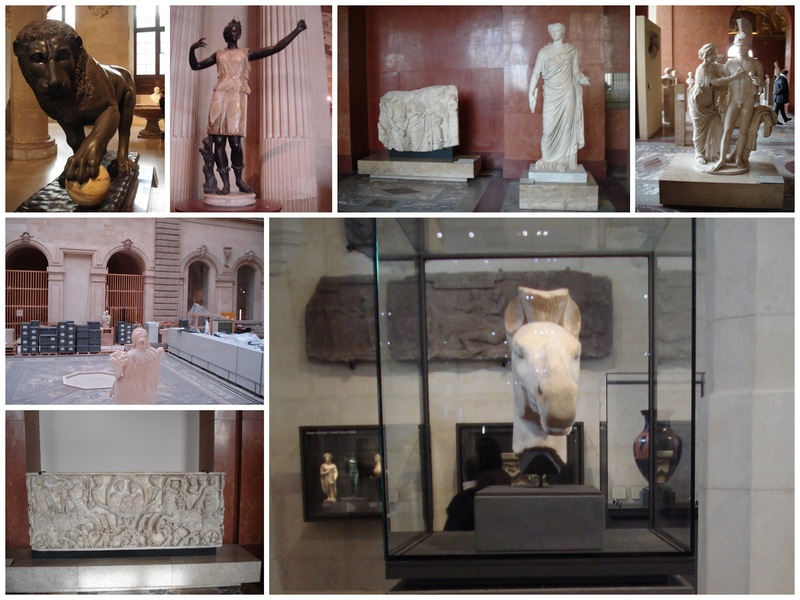 Some of her favorite pieces were the horse's head, the sculpture of the man who forgot his clothes before he went out to battle, a "fancy lion," a big room that was being renovated where you could peek in, and Artemis (who was labeled Diana, even though we were in the Ancient Greek wing). 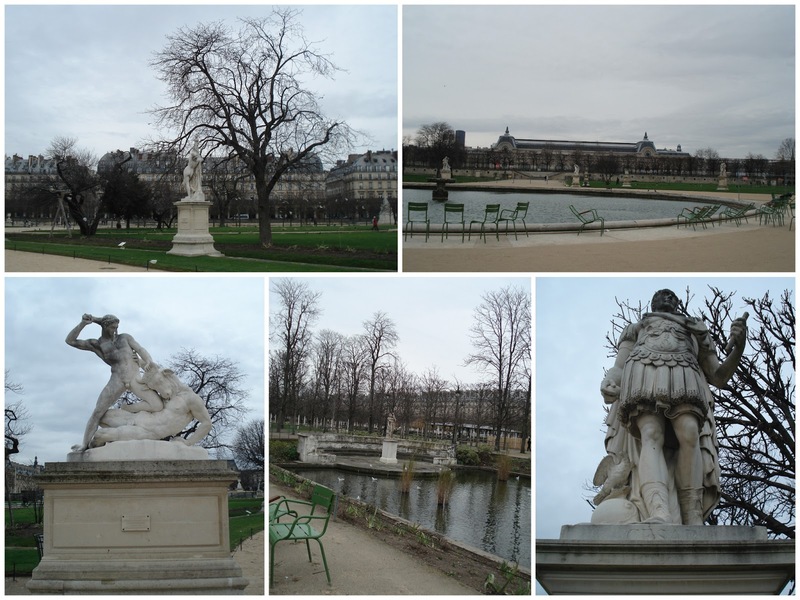 After leaving through the large pyramid we walked down the Tuileries - it was cold, but not freezing. 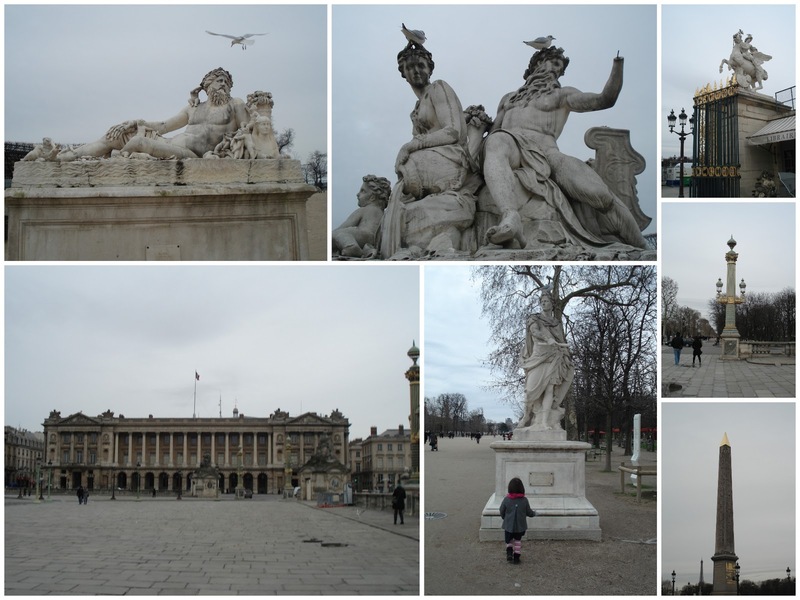 There's a second Caesar closer to the Orangerie (near the sculptures personifying rivers like the Nile and the Loire, and the pegequestrian rider), who is sadly missing his eagle - the gull perched on his head didn't count. T was pretty irritated about this omission.